June 22, 2015: Purple WiFi, the cloud-based Social WiFi software company, today announced the appointment of Collin Tan as Regional Manager, ASEAN reporting to Allen Pan, VP Asia Pacific. 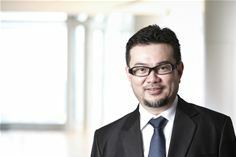 He will be based in Singapore and will be responsible for all Purple WiFi’s business in the ASEAN region. He will be working to develop the distributors and reseller channels across countries in ASEAN, namely Singapore, Malaysia, Indonesia, Thailand, Philippines, Vietnam, Brunei, Cambodia, Laos and Myanmar and engage directly with key service providers in these countries. Collin was previously the Managing Director of Singapore start-up, 1Care Global Pte Ltd, providing after sales services, such as equipment protection and extended warranty. Under his leadership 1Care enjoyed tremendous growth with customers in the Asia Pacific region, which includes the world’s Top 2 PC manufacturers. Before joining 1Care Global, Collin spent 10 years with Intel Corporation, serving as Country Manager for Intel Singapore before he left in 2013. Previous roles with Intel include leading the regional OEM team for one of Intel’s largest MNC customers and Manager for the Field Applications Engineers Team based out of Taiwan. Thousands of venues globally have been secured and deep technology partnerships established, most notably with Cisco, Cisco Meraki, BT and Verizon but also many others. Purple WiFi delivers a fast, secure, Social WiFi solution to businesses wishing to offer free WiFi to visitors. The business is provided with valuable analytical data to enable more effective marketing. Purple WiFi is cloud-based and natively integrates with most leading wireless hardware manufacturers, notably Cisco and Cisco Meraki. The service is growing quickly with 2400 venues running across 88 countries and 2 million users. Global agreements are in place with two of the world’s biggest distributors Ingram Micro and Westcon Comstor, with an active reseller base of over 300 in 60 countries. Purple WiFi employs 40 full time staff and currently has offices in the UK, San Francisco and Shanghai with another to open soon in Singapore. Growth is being seen in all sectors, most notably in hospitality (where people have time to spend online), retail (where footfall tracking is essential), healthcare (offering transparency around service and communication) and entire cities moving towards the Internet of Things. Purple WiFi has also intensified its focus on the carrier market, developing a service provider portal that delivers a credible offload solution. As the offering is hardware agnostic, carriers can monetize the WiFi estate through a number of different business models. To date, four major carrier deals have been agreed where Purple WiFi is included as part of a venue WiFi package covering connectivity and hardware.